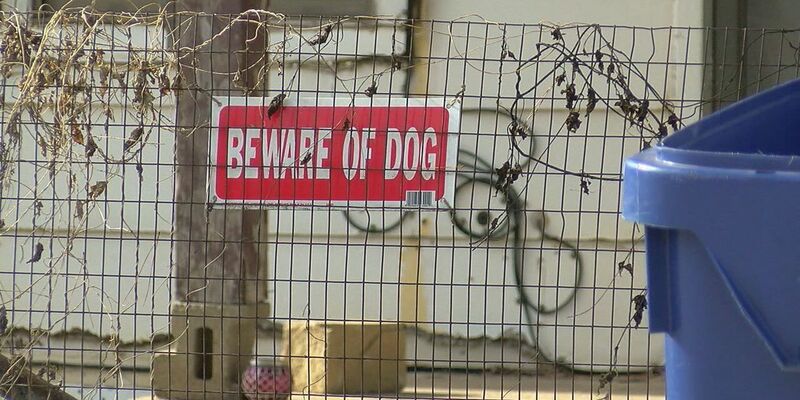 DUNCAN, OK (KSWO) - A Duncan woman is in the hospital and two others are recovering after being bitten by a dog. They say the dog's owner ordered it to attack. Carolyn Jett is still in the hospital because of the attack, so she was unable to talk to 7NEWS on camera. The pictures of her injuries are far too graphic to show, but she needed more than 60 stitches and is expecting to have skin graft surgery next week. She said she is in a lot of pain and does not remember much of what happened during the attack. But, another woman, Samantha Jennings, who witnessed the entire event could recall exactly what happened during the attack. Jennings said she and three others were at their home in Duncan on Saturday afternoon when they heard a girl screaming. They ran toward the noise and saw the girl's small dog being attacked by two pit bull mixes. Jennings said one of the dogs went back inside, while one was taken behind a fence, and they thought the fight was over. "At that time, an older lady that lives at the house walked in the back door, as she was walking in she said 'I've got something for you' She walked inside and walked right back out and said 'attack'," Jennings said. The Duncan Police Department is still investigating and has not been able to confirm that the woman ordered the dog to attack, but Jennings said immediately after that, one dog began to chase them away. The dog bit through the shoe of one of the men in their group, leaving marks on his ankle. Then he attacked a young woman, leaving gashes that would need stitches on both her arms and legs. She said the dog then attacked Jett. "He got her at the top of her shin on her left leg and bit, pulled down and started shaking." Jennings said they were eventually able to get everyone inside the house and away from the dogs, where they could call the police and get an ambulance on the way. The Duncan Police Department said the dog is in custody right now and the case will go before a judge, who will decide its fate. 7NEWS also went to the home of the dog's owner today but no one answered the door.